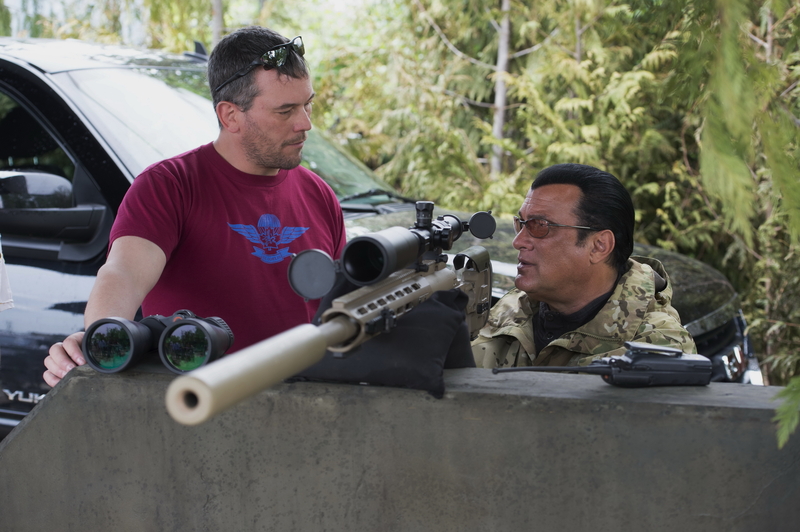 Ryan and Steven Segal on the set of True Justice. Ryan Stacey is a friend of mine who I served with in my previous Army reserve unit, the British Columbia Regiment (Duke of Connaughts Own). Ryan has one of the most unusual and interesting jobs in film industry. He works as an armourer for movies and film. 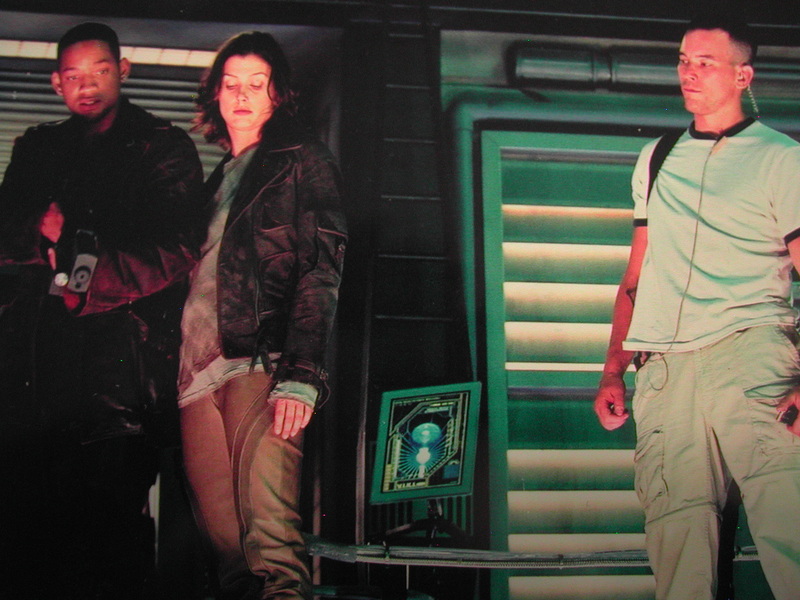 iRobot, Underworld, X-men, Shooter, Stargate SG-1 and Supernatural are a few examples of the movies and T.V. series that Ryan has worked on. I recently had an opportunity to visit Ryan on the set of Steven Segal’s latest T.V. 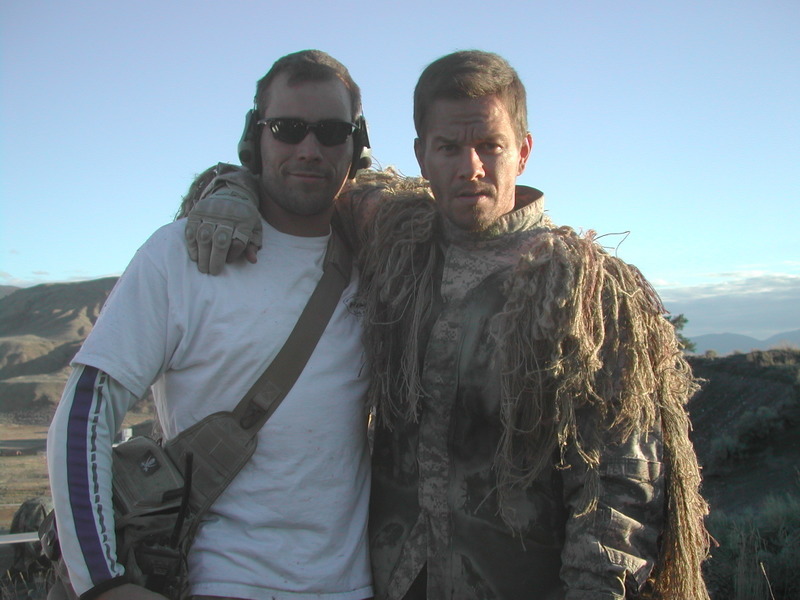 series True Justice and interviewed him about the exciting life of an armorer in the film industry. Borhan: Can you briefly explain the difference between a gunsmith and an armorer ( weapons specialist, weapons coordinator or weapon master)? Ryan: In a firearm film service company, a gun smith is usually the one who modifies the firearms for the film and an armorer or weapons specialist is the one who works on the film set handling firearms, overseeing safety and helping choreograph the action that involves firearms. Also, unlike being in the military you only have to familize in few weapons, being an armourer in the film industry you must be able to work with anything from a musket to an assault rifle or even a howitzer! 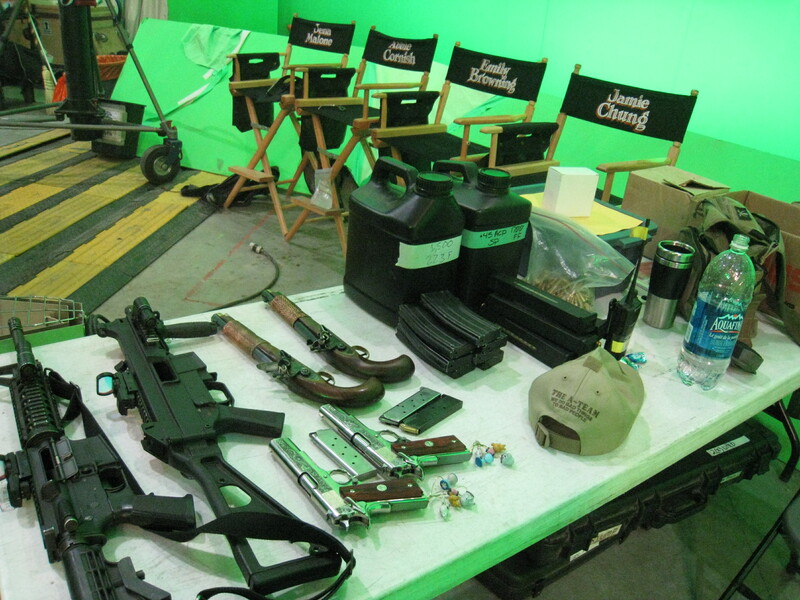 Weapons used in the movie ” Sucker Punch. ” You can see chairs used by the main actress from the film in the background. Borhan: You participated in the film Push with Hong Kong’s Hollywood Film Service Co. a few years ago. Can you tell us what’s like working with armourer from Asia? Ryan: There are two things that left an impression on me. First was how much the Hong Kong armourer loved chicken feet. Second, they have more freedom when it comes to firearm usage in film. For example, sometimes they allow guns firing blanks to be pointed directly at the actors, in North America we tend to avoid that and use camera angles to enhance the realism. This can be a risk because even with blanks debris can still exit the barrel. However, they quickly adapted to our standard during the shoot and overall were very professional. We had lots great times together! Borhan: So who is most likely to get hurt in a movie shoot when firearms are involved, actors or stunt actors? Ryan: Surprisingly, it’s actually the cameraman who is taking the biggest risks in a movie shoot when firearms are involved. Most of the time, they are so focused capturing that perfect shot with their cameras that they are completely oblivious to their surroundings. Their safety is defiantly on our top list. Borhan: Is armourer the only one allowed to handle the firearms on set? Ryan: Not necessarily, the prop master can also handle firearms but 99% of the time the prop master will choose not to touch them. Prop masters are busy enough as it is and due to safety, they prefer that we deal with firearms on set. Borhan: Who does the choreography for shoot out scenes in movies and television? 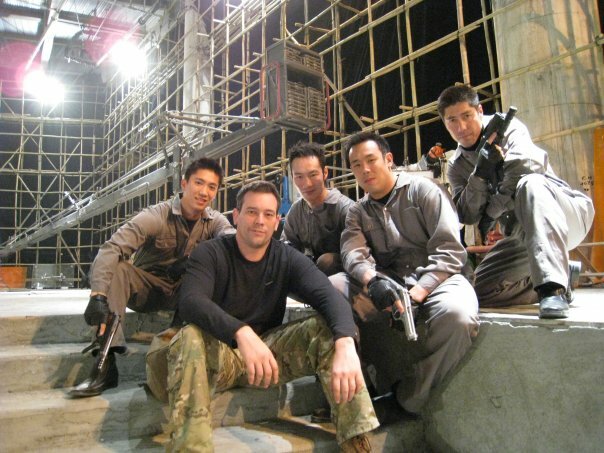 Ryan: In every fight or shooting scene that involves firearms, the action choreographer will design the overall fight sequence. Then the armourer will work on the finer details of how the actors should fire the weapons and what direction the firearms should be pointed. If there is a massive battle scene then we will require help from military consultant. 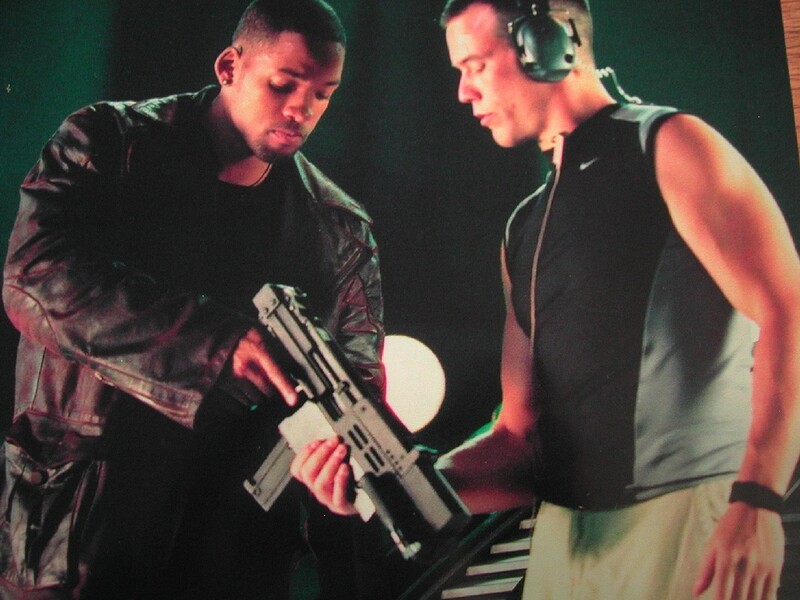 In fact, most scenes that involve firearms are the brainchild of three departments (special effects, the action choreographer and the armourer) One of the most complex scenes I have been involved in was the scene from iRobot when a bunch robots storm into the police station and police officers open fire on them. 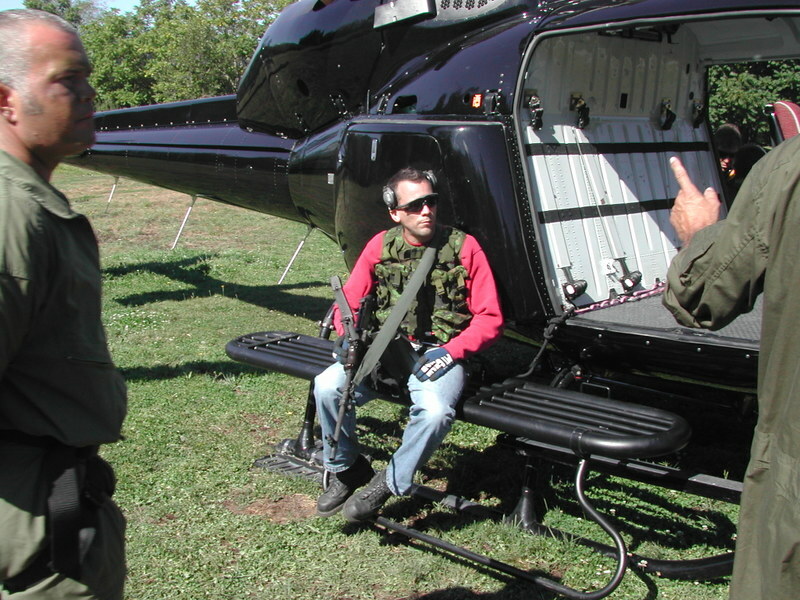 Just for this one scene we had six weapons specialists on set supervising every possible angle. Borhan: This is really interesting! Can you explain a bit more about the cooperation between armourer and other departments? Ryan: Let me give you an example. You know the little flash on walls that you see in gunfight scenes? Special effect crews who shoot something called “Zirk Balls” or “Hollywood Balls” at the wall are actually responsible fort that. 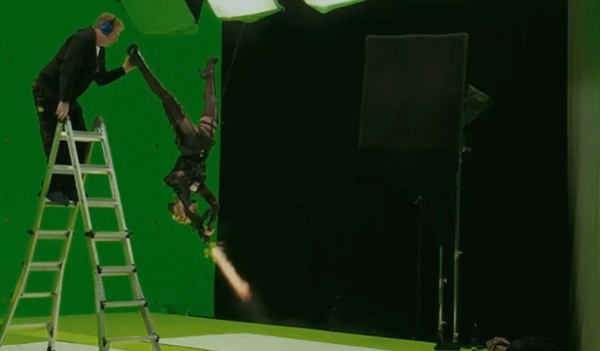 The armourer and the special effects crew has to work together in order to create believable effects for the film and also to prevent the Zirk ball from hitting the actors. The flash can also be ceated by placing little explosive charges on the walls but that’s a lot more expensive (Zirk balls contain zirconium, they are hard like a plastic paintball. You wouldn’t want to get hit by one). Borhan: Do you mind sharing some of your experience with actors and directors? Do they respect your role as a armourer? Ryan: I seriously can’t tell you one A-list actor who has ever given me attitude. They are all very friendly and professional. A few B-listers and newcomers might have tiny attitude problems but safety always comes first. I don’t care who you are, when comes to safety I’ll never budge. Once, a colleague of mine even got into argument with James Cameron over firearms safety, and in the end James Cameron had to find an alternative. Borhan: Does that mean a armourer has absolute power in film set? Ryan: Of course sometimes there can be dilemmas. Borhan: Can you give me an example? Borhan: What is the most challenging shoot you ever participated as an armourer? 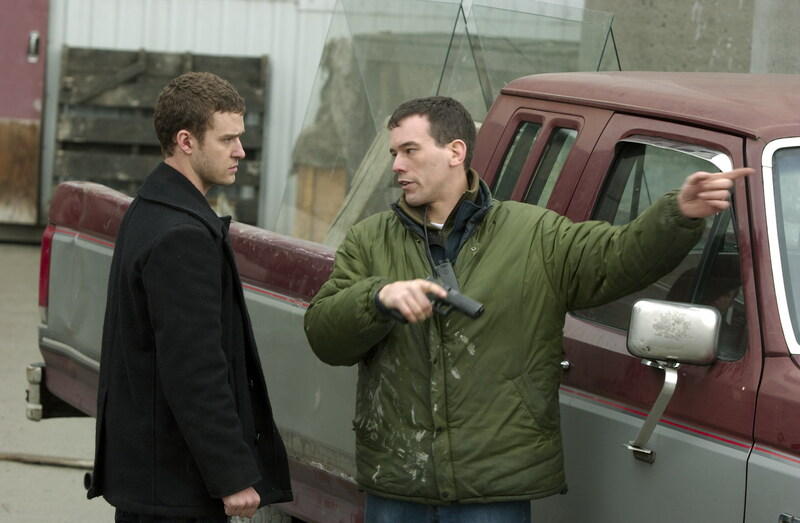 Ryan: That would have to be when we were filming the movie Shooter. There is a scene of continuous fire with a Mortar and we had to figure out how to create the illusion of continuous fire without actually using real ammunition. We managed to put a primer on the bottom of each dummy mortar round and charger on the head so every time a new dummy round was dropped into the mortar tube a blast would come up. Also, during the filming of Shooter I had a fair bit of trouble making the machine guns work properly on the helicopter that was flying around and shooting blanks. Borhan: do you think computer affects will ever replace firearms and armourers in film? Ryan: No! It is cheaper to use computer effects but computer effects can’t help actors simulate the realism of shooting a firearm. An actual firearm with recoil enables actors to perform more realistically on screen. Borhan: Are there any trade secrets in your line of work? Ryan: Not really, anyone with similar background could easily figure it out. Borhan: I heard some firearms manufacturers pay film companies to have actors use their products in films, like a form of product placement? Ryan: I wish that was true! Actually in film making, there’s usually a production crew that works on what type of firearm each character will be using it and this is all depends on the story and overall scene. Borhan: This has been a truly wonderful experience, thank you for having me Ryan. The original Chinese version of this article was published on TARGET, a defense magazine circulated in Taiwan, Hong Kong an Singapore. 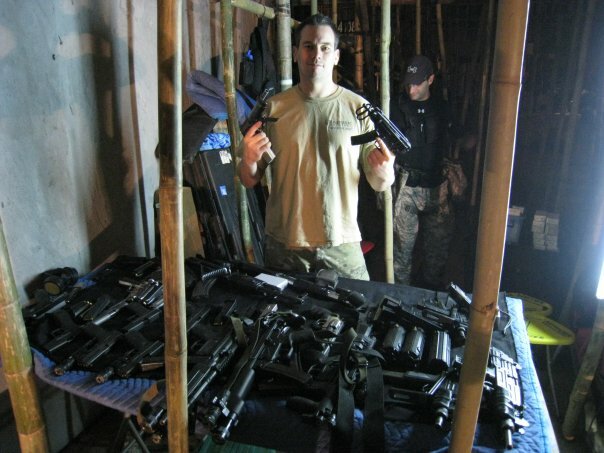 A movie armorer is a job I had no idea existed, but it does and it’s AWESOME! Ryan Stacey includes SG1 on his impressive resume so I am naturally a fan. SG-1 ROCKS !! Ryan also did Battlestar Galactica. Too bad I didn’t have those photos. 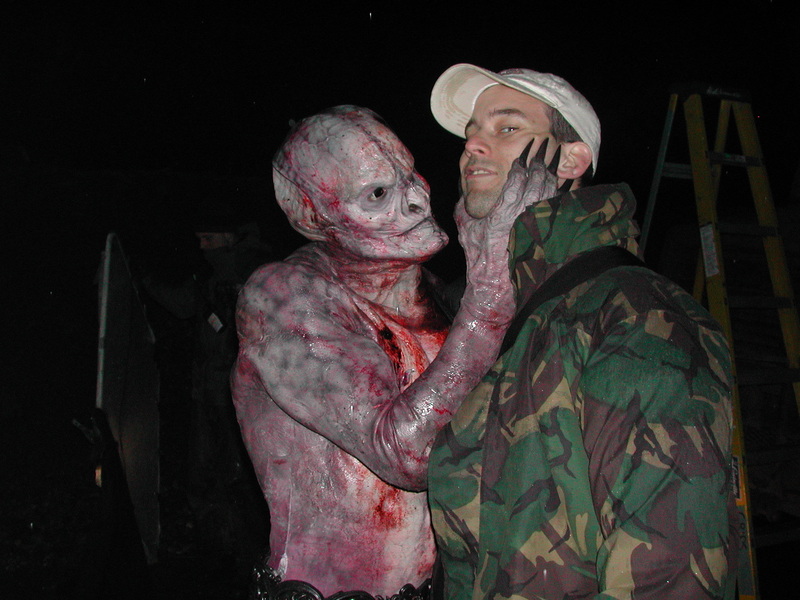 It is actually a pretty hard job working on film set. It is really long hours but Ryan loves his job and I think that’s all it matters. 🙂 Glad you like this article. Ya ! I just talk to him on the phone. He said I made some tiny mistakes on the article but overall it is good. To be honest, I still have lots to learn about what he does.